When I tell people that I am from Dallas, I usually get a response of how boring it is there. Lots of people want to come to Texas but have no desire to visit Dallas. 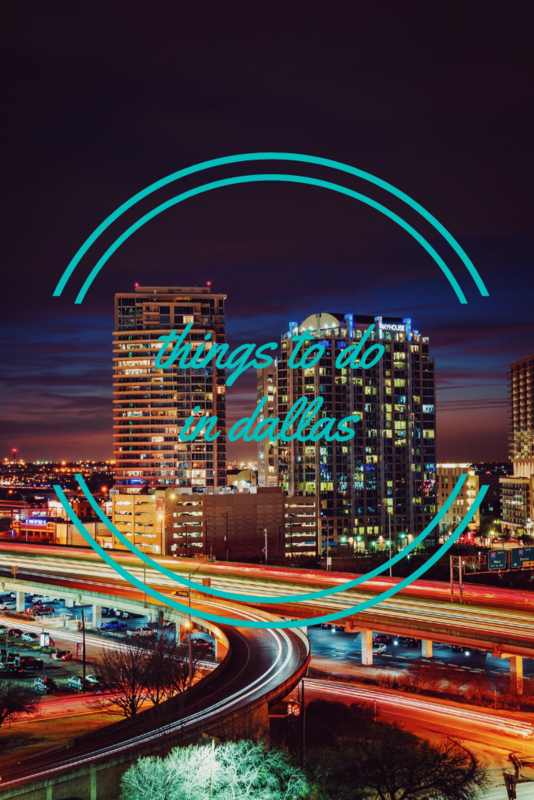 Let me tell you though; there are tons of great things to do in Dallas! I have gathered an epic list of things to do in Dallas. I will admit that I am biased towards the Dallas Arboretum because it is my favorite things to do in Dallas. I wrote a whole post about it here. The Dallas Arboretum is open all year long only closing for Thanksgiving, Christmas Day and New Year’s Day. There is so much going on at the Arboretum you could visit almost every day and find an event. The most popular things that happen are the Dallas Blooms, the Pumpkin Patch and the 12 Days of Christmas. 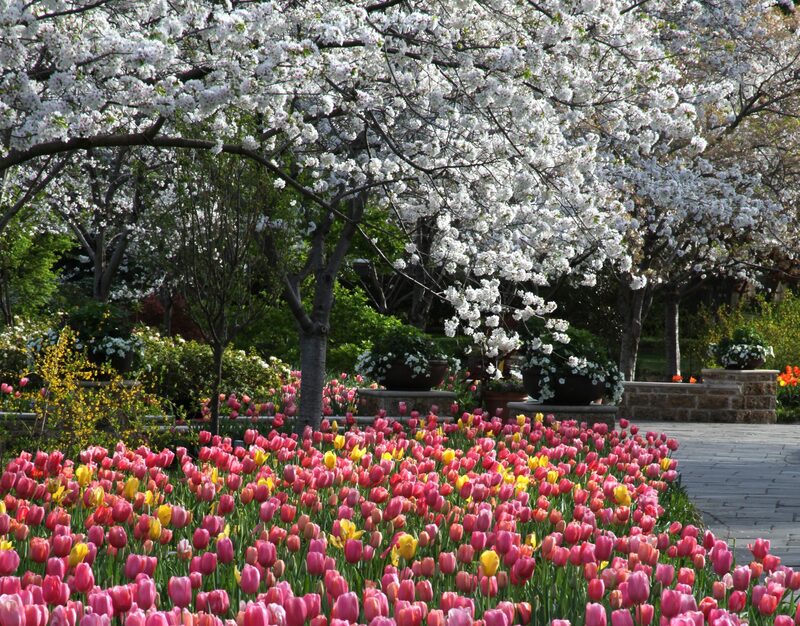 Dallas Blooms occurs in the spring and features tulips and other bulb blooming plants. The Pumpkin Patch happens in October and usually has a different theme every year. The 12 Days of Christmas are life-size displays of the song, including eight maids a milking and partridge and a pear tree. Almost all year there are concerts outside called the Cool Thursdays Concert Series. Most of the artists are a cover or tribute bands. You can buy tickets for individual shows or the whole series. Adult admission to the Dallas Arboretum is $15. Kids 2-12 access is $10. Photo courtesy of the Dallas Arboretum. 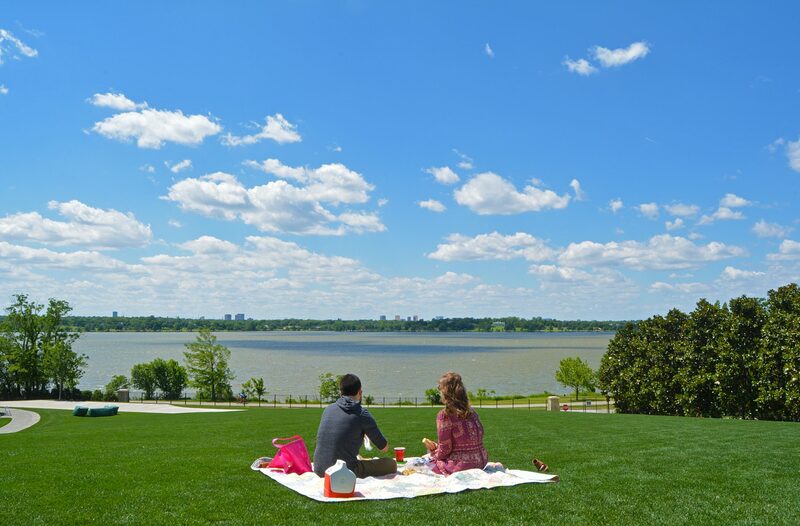 The Dallas Arboretum overlooks White Rock Lake, which is technically a Dallas park. As a kid, my Dad and I used to bike the lake. Many people do this still today. The bike and hike trail is over 9 miles long. You can sail a boat on the lake, and many people kayak as well. You will find people picnicking and walking their dogs here. There is also an off-leash dog park. I enjoy watching all the water birds that live at the lake, including ducks, geese, and pelicans. They like to hang out between the Arboretum and the Spillway. There are several points around White Rock Lake that offer great photo opportunities, especially at sunset. Photo courtesy of the Dallas Arboretum. Speaking of eating, you can’t come to Texas and not have some Tex-Mex food. 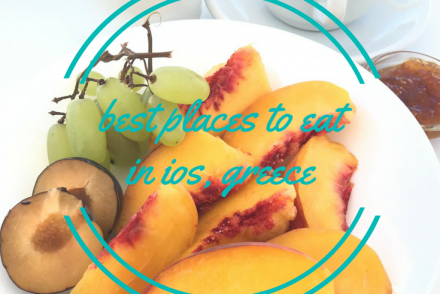 There are so many restaurants to choose from. In Dallas, my recommendations are Desperados, El Fenix, Javier’s, Herrera’s, and Mesero. 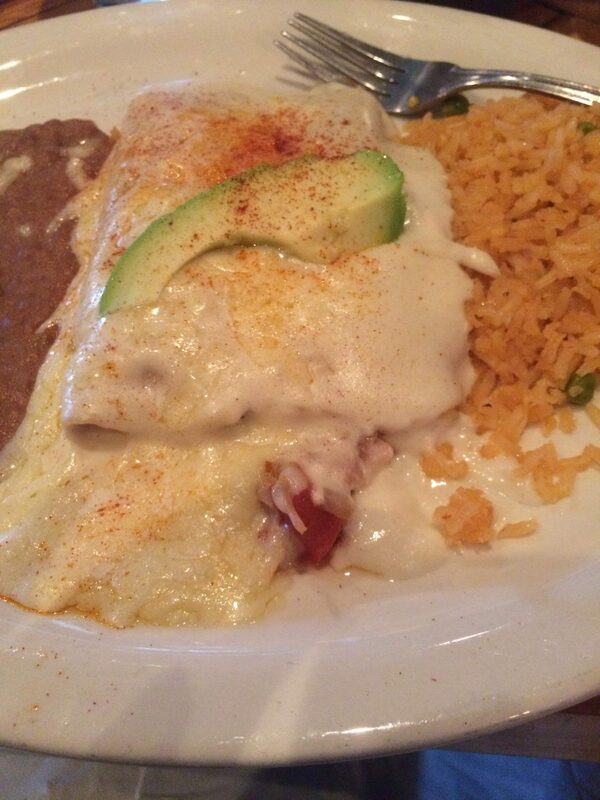 Tex-Mex is personal though, and you might find you like some places better than others. Rarely have I had bad Tex-Mex in Dallas, so if you see a place you want to try, go for it! My favorite Tex-Mex dishes are pretty simple. I love queso dip, sour cream chicken enchiladas, beef fajitas, chicken quesadillas, and street tacos. Of course, I like to have a margarita on the rocks with salt. For dessert, I like to get a pecan praline. It is brown sugar melted with milk and pecans hardened into a round shape. Some are soft though. What I love about this theater is that they show many movies that never play at other theaters. It shows films from film festivals from around the world. The theater also shows regular blockbuster movies. You can get assigned seating, which is crucial if you want to sit front and center during a showing of Star Wars! The Angelika is located at Mockingbird Station, making a great option for tourist visiting Dallas without a car. The Katy Trail used to be an abandoned railroad line that has been converted into a walking trail. It is a great place to walk, run or bike. The path is beautifully maintained with landscaping. There is a restaurant and beer garden on the trail called the Katy Trail Ice House. Both the trail and the Ice House are dog-friendly! 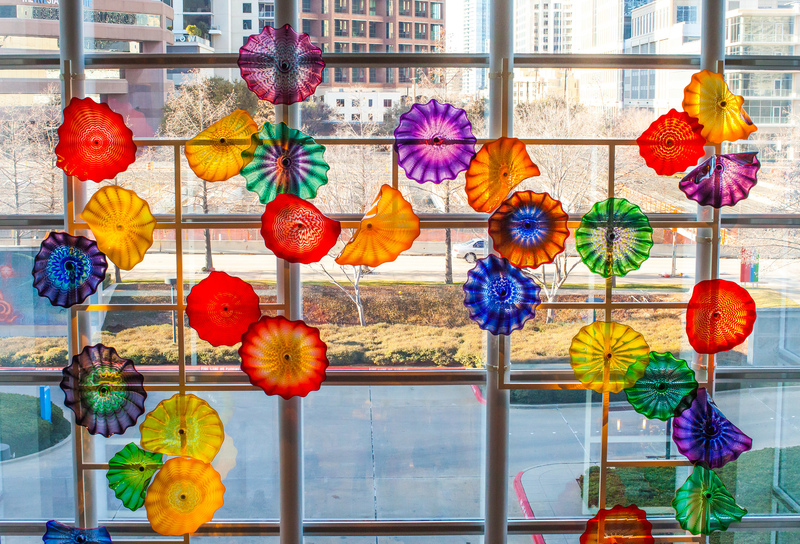 The Dallas Museum of Art is a beautiful museum that incorporates all styles of art. They frequently have traveling exhibitions that are extremely good. There are events at the museum, and many of the events are geared towards children. The best thing is that general admission is free. Traveling exhibitions are usually a fee, and the price varies. Right across the street from the Dallas Museum of Art, is the Nasher Sculpture Center. This outdoor sculpture garden hosts a variety of large sculptures in the garden. There are also some pieces inside the center. Admission is $10 for adults and kids under 12 are free. The first Saturday day of the month is free, and there are usually events on the day such as art making, art chats, and sketching. 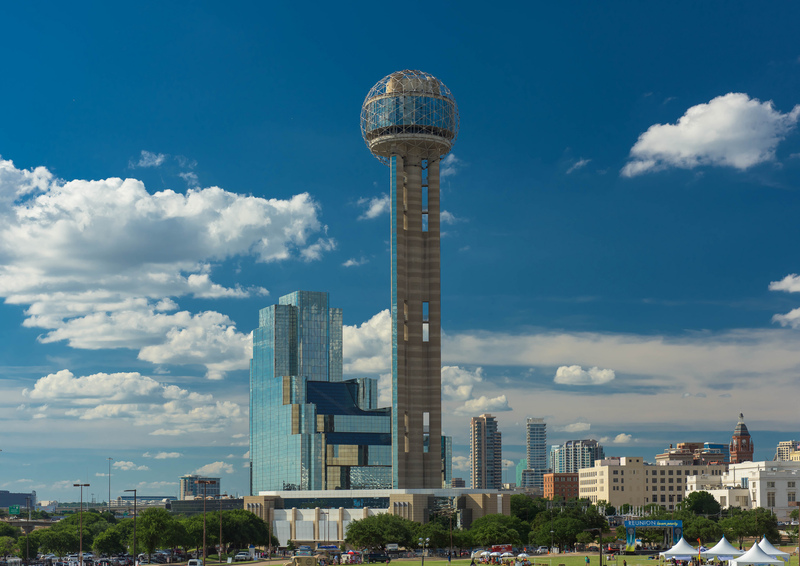 One of the most iconic buildings in Dallas is Reunion Tower. It is a beautiful place to see much of the Dallas skyline. You can visit Reunion Tower during the day or at night. To see the views, purchase tickets for the GeO-Deck. Adult admission is $17, and kids 4-12 are $8. On the GeO-Deck is cafe so you can get a snack and a drink while you are there. There are plenty of ticket options for groups and if you want to visit both during the day and the night. There is a restaurant as well called Five Sixty by Wolfgang Puck. You do not need a GeO-Deck ticket to go to the restaurant or the bar. However, you can purchase discounted tickets from your server. The coolest thing about dining here is that the view constantly changes as the restaurant slowly rotates at all times. Reservations are recommended, and there is a dress code. Klyde Warren Park was built over a highway to meet the need of having a large green space in Downtown Dallas. Klyde Warren Park has become very popular. It has easy access from the Dallas Light Rail, and there is parking located nearby (although it is paid parking). There are food trucks, a splash park for kids, a leash-free dog park and plenty of green space. Events and activities are always happening at Klyde Warren Park. 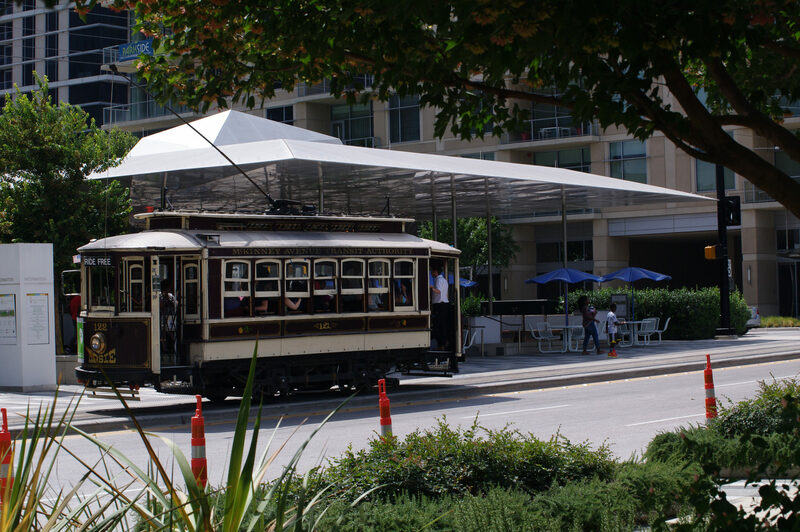 One of the stops for the McKinney Avenue Trolley is located right next to Klyde Warren Park. The trolley is free to ride! The trolley goes through the Uptown Neighborhood all the way to Downtown Dallas. It connects with the DART Light Rail System at some points as well. Not only it is a free transport option but fun to ride and see parts of Dallas. Dallas has its own copy of the Declaration of Independence. It is located at the Dallas Public Library. The document is one of the 25 original copies printed in 1776. It is free to see, and you can also see Shakespear’s first folio as well. The Declaration and the folio are located on the 7th Floor of the library. The Dallas Cowboys, America’s Team, are a great entertainment option in Dallas. While the stadium is technically in Arlington, they are still the Dallas Cowboys. The stadium is relatively new and worth seeing if there isn’t a game going on. If you aren’t a Cowboys fan, maybe you can catch a game of them playing your home team! You can also arrange tours of the stadium. A guided tour is $32 for adults, and a child’s ticket is $27. The Omni Hotel has a great rooftop pool and bar area. It offers incredible views of Reunion Tower and the sunset. The hotel is also a great option to stay at while visiting Dallas and all the things to do here. Click here to check rates at the Omni Hotel. Many American’s know about the assassination of John F. Kennedy and all the theories behind it. At the Sixth Floor Museum, you can learn more about JFK’ legacy and the trip he was on that brought him to Texas that fateful day. You can see the layout of the book depository and right outside it the grassy knoll that the Presidential motorcade passed. Admission for adults is $18, and for kids 6-18 it is $14. You can also book a tour through Get Your Guide. 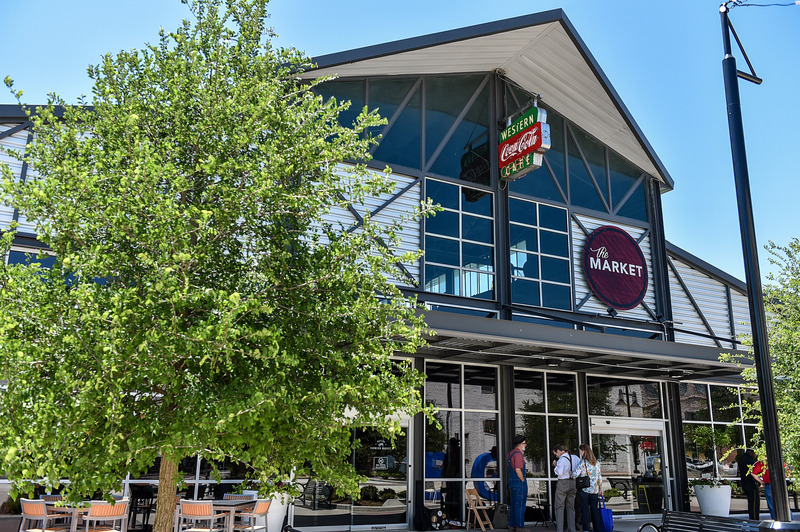 The Dallas Farmer’s Market is a great place to get something to eat in Dallas. The Market Shops offer a variety of places to eat from tacos to popcorn to seafood. On Friday, Saturdays and Sundays there is an actual market for fresh food products. Because the vendors are all regional, their offerings are seasonal in nature so you may not find blueberries in winter. While some vendors accept cards, it is best to have cash on hand. The name of the Dallas World Aquarium is slightly misleading. There is an aquarium, but I think the highlight is the Rainforest environment inside. You walk through a tropical forest that is filled with exotic animals. They even have sloths! Walk slowly, or you will miss some of the more well-hidden animals. Admission for adults is $20.95, and it is $14.95 for kids 2-12. The famous architect I.M. Pei designed Dallas City Hall. The building is an upside pyramid shape. In front is an open courtyard with fountains and places to sit. If you are visiting the Declaration of Independence at the Dallas Public Library, it is right across the street. The State Fair of Texas at Fair Park has been happening for over 100 years. There is something for everyone to do at the State Fair of Texas. You can visit the animals, see the awards given for pies and quilts, ride the amusement rides or have a Fletcher’s Corn Dog. The fair happens in the fall usually starting in late Septemeber continuing for about three weeks. General admission for adults is $16.50, and kids are $12.50. Rides and food are extra. There are packages you can buy at a discount online as well. Look out for special offers for admission. One of the less known museums in Dallas is the Meadows Museum at Southern Methodist University. The Meadows Museum has a connection to the Museo Nacional del Prado in Madrid, Spain. One of the founding collections of the museum is of Spanish Art. Many of the visiting exhibitions are Spanish related, but the museum doesn’t restrict to a specific style or period. Adult admission is $12, and kids are free under the age of 12. Admission is free for all after 5 pm on Thursdays. The department store Neiman Marcus was founded in Dallas. The original store is located in downtown Dallas. It is the only department store located in downtown Dallas. 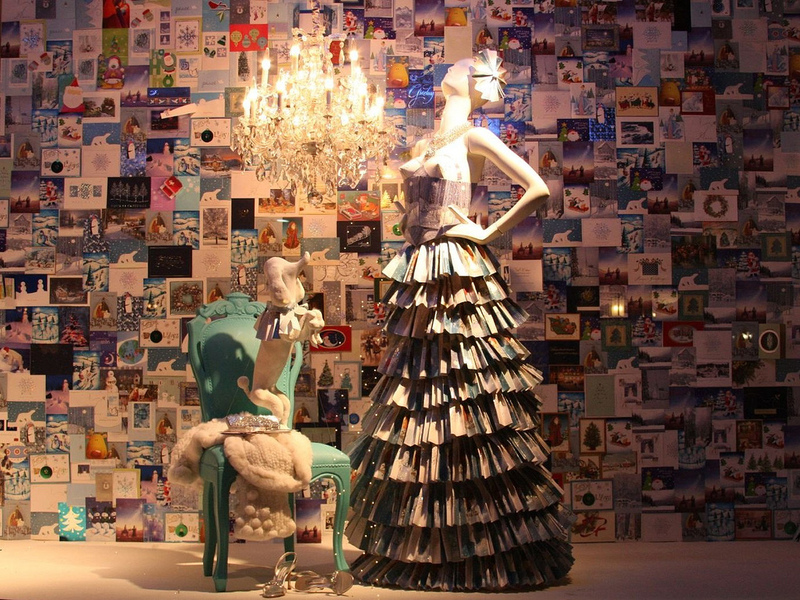 At Christmas time, they have Christmas windows just like the major department stores do in New York City. The Dallas Zoo is an excellent option for things to do in Dallas especially if you are trying to entertain kids. They have all the things that most traditional zoos have, but they also have seasonal activities as well. During the holiday time, they have winter lights at night. There are also daily feedings of the giraffes that cost $5. Admission for adults is $15 and kids aged 3-11 are $12. Kids under 2 are free. The Perot Museum new building was built in 2012. The Perot Museum is a uniting of the Dallas Children’s Museum and Dallas Museum of Natural History. The new museum features things like sports, a gem and mineral collection and the hall of birds. For the architecture enthusiast, you will be intrigued by the building, which was built by Thom Mayne. The building is designed to look like it is floating. Parts of the building feature drought-resistant plans to help the environment. This Calatrava bridge was opened in 2012. Originally it was planned as a combination of three bridges, but only two have been built and the third was canceled. Margaret Hunt Hill was an oil heiress and philanthropist. The bridge itself is great to admire. It is also a good place to photograph the Dallas skyline. Explore more presidential history at the George W. Bush Museum and Library. This is another museum at Southern Methodist University making it a good place to stop if you are visiting the Meadows Museum. The topics covered in the museum include President Bush’s career and 9/11 information. Adult admission is $16, kids ages 13-17 are $14, kids ages 5-10 are $10 and children under 4 are free. Hailed as Dallas’ Most Independent Neighborhood, the Bishop Arts District is worth visiting. There is something for everyone here. The shops are locally own shops that host a variety of goods, such as household products, gifts, Texas memorabilia, bookstore and plenty of bars and restaurants. Some of my favorites include Oddfellows, The Wild Detectives, Glorias and Cafe Brazil. The neighborhood also hosts events throughout the year, such as the monthly wine walk! Have you been to Dallas? What is your favorite thing to do in Dallas? Check hotel options at Booking.com and Hotels.com. I had no idea that there was so much to see and do in Dallas, looks like a fascinating city. Great post and cool photos. I don’t think Dallas gets enough credit. Thanks!